The merging of different cultures, ancient seafaring traditions, natural history and exotic fragrances: all this and more awaits knowledge-thirsty and merely curious tourists at the many museums on Mauritius. Built in 1830, renovated and opened to the public as a museum in 1986, Eureka House at Port Louis offers a magnificent view over the surrounding valley. This residence is surely one of the most fascinating museums in Mauritius: some of the rooms are devoted to music and art, others contain ancient maps and household artefacts, many of which may appear bizarre, all serving to document the history of the island. 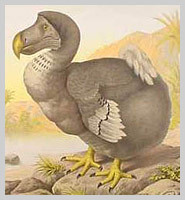 A perfect reproduction of a Dodo, a bird that became extinct long ago in 1681 and now the national emblem of Mauritius, is the main attraction of this fascinating collection, which includes many more specimens of extinct species, like the Madagascar parrot, plus a vast collection of marine animals and a perfectly preserved stuffed dodo. With an extensive collection of Mauritian postage stamps, including several copies of the famous "Post office" specimens issued in 1847 and then immediately withdrawn due to a typographical error, this museum displays some of the most sought-after stamps revered by collectors all over the world. The museum also presents numerous other exhibits associated with the island and its postal service, including a superb scale model of the original telegraph office of Port Louis. 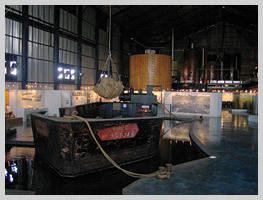 Occupying a typical Creole dwelling, the Naval Museum contains a vast array of models of famous ships, fittings and memorabilia, giving visitors a glimpse of the island's seafaring history. Close to the town of Mahèbourg and proceeding southwards, the Naval Museum is housed in a typical Creole dwelling. 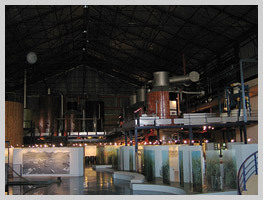 Occupying an ex sugar cane processing plant that has been painstakingly restored and renovated, the Sugar Museum contains all the original sugar processing machinery and numerous photographic plates documenting the history of sugar cane farming and the harvest and processing methods right through to the end product.